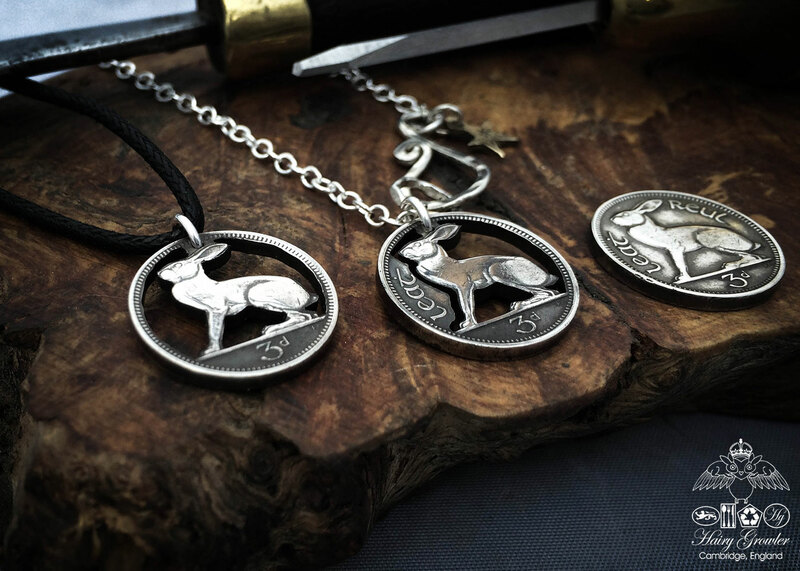 Irish hare coin jewellery. Eco-conscious, ethical jewellery handcrafted and recycled from Irish coins. Individually hand cut and carved coins of Ireland.